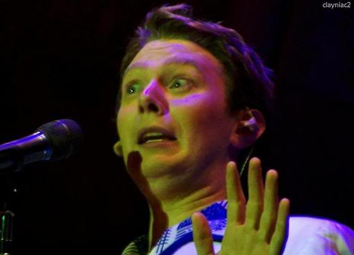 Clay Aiken – Face Your Fears! Grab your four-leaf clovers, rabbit’s feet and horseshoes and Face Your Fears!! Friday the 13th is upon us. Clay was on The View this morning…October 13th! He was Meghan’s partner in a fun game. More information when I get home!! The following is a picture from the show! Friday the 13th. It’s a superstition that goes back to the 14th century–or even earlier. But are you the type of person to buy into all of that? It’s not really one of scariest days of the year, is it? I believe it’s just another day, one that you can use to celebrate a good time with friends. 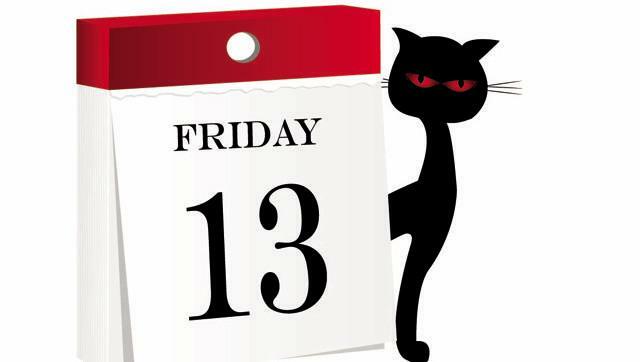 Approximately, $900 million is lost every Friday the 13th because people are scared to work and travel on this date. Lets just have some harmless fun for you and your friends! Here are 13 ideas for ways to celebrate! Write an “I’m glad you’re my friend” message on thirteen different friend’s Facebook pages! Take A Thirteen Minute Walk With Clay: It may only take you around the block, but a walk with your phone filled with Clay songs will put a smile on your face. See how far walking for thirteen minutes in one direction will take you from your house. Call up a friend and ask if you can pick up a few items for them (like maybe, thirteen or so) from the grocery store on your way home from work. 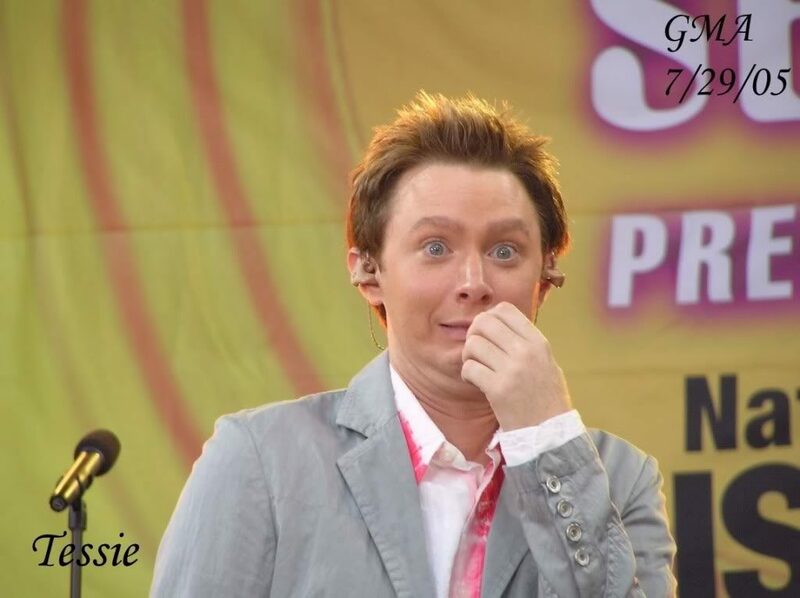 List thirteen songs by Clay Aiken: Wait…too easy… they must all be under three minutes and thirteen seconds. Donate $13.00 for Jerome’s recovery. Every amount will help! Make a friend a baker’s dozen of their favorite cupcakes. Spend 13 Minutes without any distractions: Turn off the phone, the computer and the TV. Think of 13 people that you owe a hello to. Take a moment and write them or phone them and say hello! Some of my ideas came from LiveAbout. Yes…this should be a fun day!! I would rather spend my day enjoying my friends than worrying about black cats, or 13 floors in a building. I'm not superstitious, but most of my friends and family are. However, I will follow a few ideas from your list! Happy Friday the 13th! Happy Friday 13th! I think black cats are the prettiest. Get ready for Halloween just around the corner. ❤️ UNCONDITIONAL love for you Clay. God bless the USA. I arrived home from a Dr. appt. at 11:00 am this morning & turned on 'The View'. 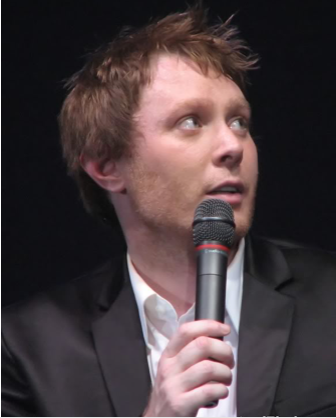 I was so excited to see the opening list of guests included Clay! I waited patiently until about 10 min before the end of the show when Clay showed up. Just as he & Meghan were about to play a game, my TV went black. The local station broke in with news of the capture of a killer. Needless to say I was very upset. Then I remembered…it is Fri. the 13th and this was my bad luck. Hope someone posts the episode on youtube. His part is plastered all over facebook, lol! What a fun blog. I love all the "13" ideas. Music from Clay is something I listen to all the time. Thanks for making Friday the 13th fun!!! 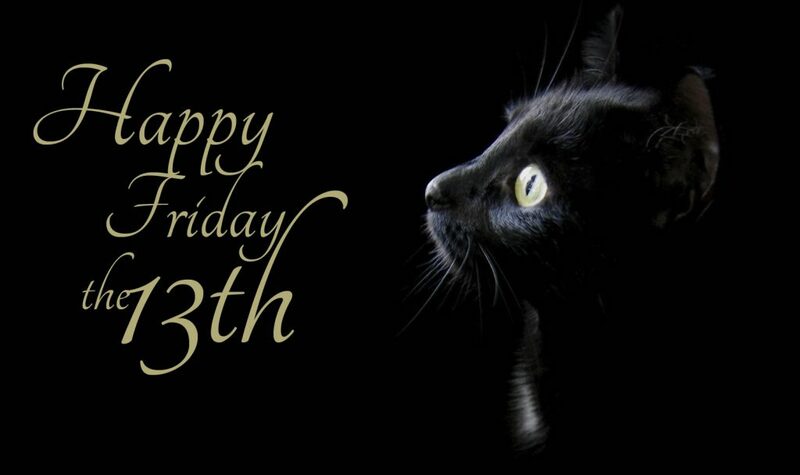 Happy Friday the 13th!!! Great ideas! Each one is something we should do anytime we can!! Love CANN You always have wonderful ideas and things to present to us! Thank you!! Fun post today! Great 13 ideas! I am looking forward to hearing and seeing more about Clay on the View! I forgot that it was Friday the 13th. You do make it into a fun, and kind event. Much better than being scared! Hope you will be home soon so we can learn more about Clay on The View! Darn! I missed Clay's appearance on The View. Those sound like some fun ways to celebrate Friday the 13th. I wonder how many we have left for 2017? Cynthia…check todays blog. There is a video of Clay on The View there so you can see it! Error: Error validating access token: Session has expired on Tuesday, 21-Aug-18 16:13:01 PDT. The current time is Wednesday, 24-Apr-19 01:39:35 PDT.